The UK has made the third-highest number of requests for links to be removed from search results under Europe’s right to be forgotten ruling, says Google. The search firm has received more than 146,000 takedown requests since the European Court of Justice (ECJ) supported the controversial right to be forgotten in a landmark ruling in May 2014. The case was brought by Mario Gonzalez of Spain, who complained that an auction notice of his repossessed home on Google's search results infringed his privacy. Takedown requests were reportedly submitted within a day of the ECJ ruling an individual could demand that "irrelevant or outdated" information be deleted from results. Google scrambled to introduce an online application form within 13 days of the ruling for Europeans who want personal data to be removed from online search results. Since then, citizens of France have made the greatest number of takedown requests (29,140), followed by those in Germany with 25,206 requests, and the UK with 18,486 requests relating to more than 63,000 web pages. Is the right to be forgotten a disaster for the web? Since May 2014, Google has received 146,357 takedown requests relating to 498,737 web pages, according to the search firm’s latest transparency report. But only 41.8% of web pages relating to all the takedown requests have been removed from search results, which equates to 35% of web pages relating to UK requests. Among the UK requests rejected by Google was from a former clergyman who asked for two links to articles about an investigation into sexual abuse accusations about him to be removed, reported the BBC. Google also rejected a request from a UK "media professional" relating to four links to articles reporting on "embarrassing content he posted to the internet". A UK doctor requested more than 50 links to newspaper articles about a botched procedure be removed, but Google removed only links to three pages that contained personal information about the doctor. Links to a news summary of a man who was convicted at a magistrates' court were also removed because his conviction had been spent under the UK Rehabilitation of Offenders Act. The ECJ ruling requires all online service providers to comply with takedown requests unless they have legitimate reasons not to. Among the service providers most affected after Google have been Facebook, which has removed 3,353 links, and YouTube, which has deleted 2,392 links. The ECJ ruling has come under strong criticism from online entrepreneurs, who argue such rules will hamper innovation. In July 2014, a House of Lords European Union (EU) sub-committee said Google and other search engines should not decide what links to remove from search results. A right to be forgotten is "wrong in principle” and “unworkable” in practice, the committee’s report said, because search engines should not be made responsible for the content of the internet. The committee said the ECJ judgment relied on the EU’s 1995 data protection directive, which was drafted three years before Google was founded. Committee chair Usha Prashar said it was clear neither the 1995 directive, nor the ECJ's interpretation of it, reflects the “incredible advancement in technology” in the past 20 years. The committee said in the proposed new European data protection laws, search engines should not be classed as data controllers, and therefore not liable as owners of the information they are linking to. The committee also believes people should not have the right to remove links to accurate and lawfully available information about them because they do not like what is said. 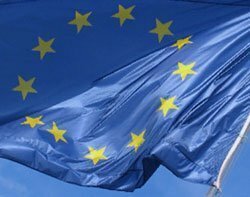 EU regulators have called for feedback from search engine operators on their implementation of the ECJ ruling. This feedback from tech firms will be incorporated in a set of guidelines to be drafted by regulators to help them decide which links to remove and to deal with complaints from unsuccessful applicants. EU regulators want a coherent approach that fits with EU data protection principles and plan to publish a set of guidelines before the end of 2014.